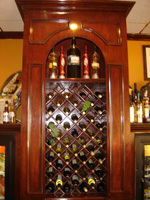 Relax with a cold beer or a glass of wine and let us take away some of the hectic pace of your day. 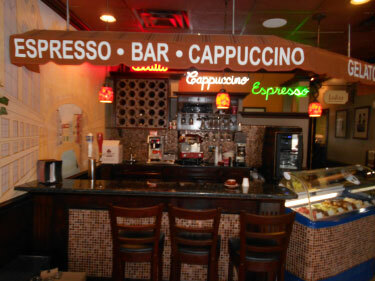 Our prices are resonable and the ambiance friendly and casual. 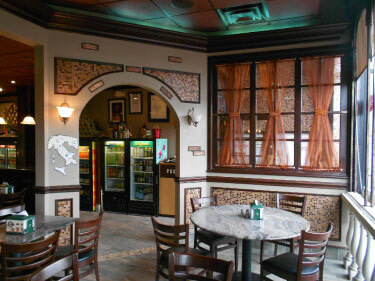 We invite you over and hope to see you soon..
Our mouthwatering gourmet pizzas and pasta specialties like Penne Veneziana, with fresh zucchini, basil and tomato or Fusilli Birichini with Bacon, carrots, celery, mushrooms, garlic, fresh tomatoes and white wine will have you coming back time and time again. Please see our complete catering menu on line. 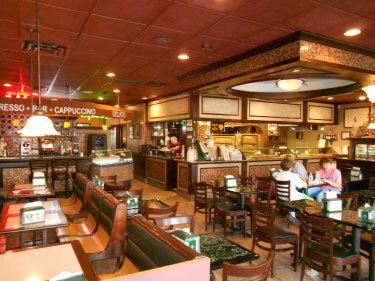 We offer 3-4-5-6 foot Italian Heroes as well as all types of pasta and Italian specialties by the tray. We have side dishes and dessert too. So plan that superbowl party and let us handle the work while you enjoy the game.